The Episode starts with Raja Janak telling Sadanand that Ahilya is innocent, but had to live stone life. Sadanand asks him to make the people realize their mistake. Raja Janak tells that their people can’t agree to his beliefs. Sadanand asks then whom they will listen to. Raja Janak tells about Shri Ram, who people worships. Sadanand says only Maryada puroshottam Ram can give mukti to my mother. He starts searching him and one day he found him. Sadanand sees Shri Ram talking to the jungle people. He thinks only he can get mukti for my mother. He comes to him and asks him to make his mum fine. He asks him to accept his mother and make her betterment. Betaal says Shri Ram entered Devi Ahilya’s place and sees her becoming fully stone. He keeps his hand on her head and she becomes human. He appears infront of her in God Avatar. Rishi Gautam, Ahilya’s parents and the people stand outside the hut hearing Ram came. Ahilya folds her hand and asks Shri Ram to take her with him. Ram comes in human form and says everyone has to realize their mistake. He asks her to come out with him. A woman asks Shri Ram, what wrong did he do and says this woman is a sinner and guilty. Ram asks why you think this? Woman says her own husband cursed her to become Pashaan. Shri Ram says Rishi Durvasa cursed many people, that doesn’t mean that they all are guilty, but that Rishi Durvasa was angry. Man says if she stays here then we will bear her punishment and says Dev Inder got the punishment of skin disease because of her. Shri Ram says ahilya is sacred, innocent etc and says she has to live her life as Pashaan for someone else’s crime. Woman asks if she is not guilty then who is guilty. Betaal asks Vikram to answer him. Vikram says Ahilya’s criminal was society and says whoever do mistake, but people calls characterless even if she is innocent. He says because of society’s thinking, Dev Indra could disrespect Ahilya and Rishi Gautam cursed her due to the society, and even her parents left her due to the society. She says people became her enemy. Betaal says Shri Ram said the same to the people that day. People apologizes to Shri Ram and says they are absorbed in customs. Shri Ram asks them to apologize to Ahilya. The people apologize to her. Rishi Gautam apologizes to her and says I made your life miserable. Her parents also apologizes to her. Ahilya thanks Shri Ram and says I never thought you all guilty as I knew that you are following society customs, and asks them not to repeat the same thing with any other girl. Vikram says you spoke and I will leave. Vikram calls him and asks where are you? He holds Betaal’s tail and it keeps coming. Betaal asks him to return if he gets tired. Vikram burns his tail. Betaal asks him to set it off and says I am ready to come with you. Betaal says I will tell you today about hanuman. Precap: Betaal tells story of Kesari Nandan maruti. 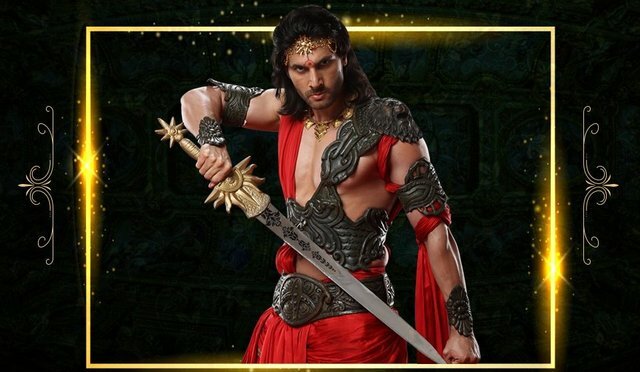 The post Vikram Betaal 22nd February 2019 Written Episode Update: Shri Ram gives justice to Ahilya from her Pashaan/stone curse appeared first on Telly Updates.